Old-Timers Friends Reunion Logo (2008). Courtesy of the author’s father archive collection. 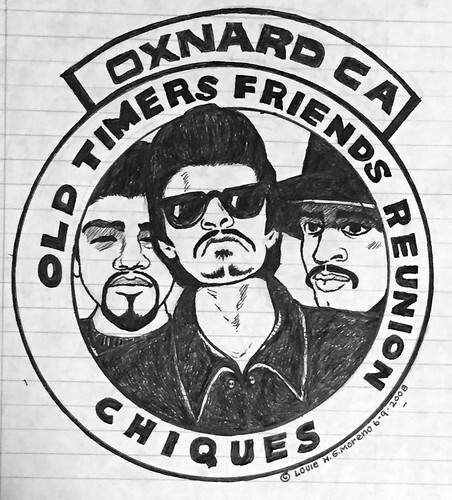 Every summer since 1998, a group of old school Chicanos has organized the Old-Timers Friends Reunion in Oxnard, California to reflect on their lives, history, and future. These men (veteranos) have survived or continue to survive the decades of criminalization by politicians, educators, and law enforcement. For the full version of Part IV with photos, see the following website!